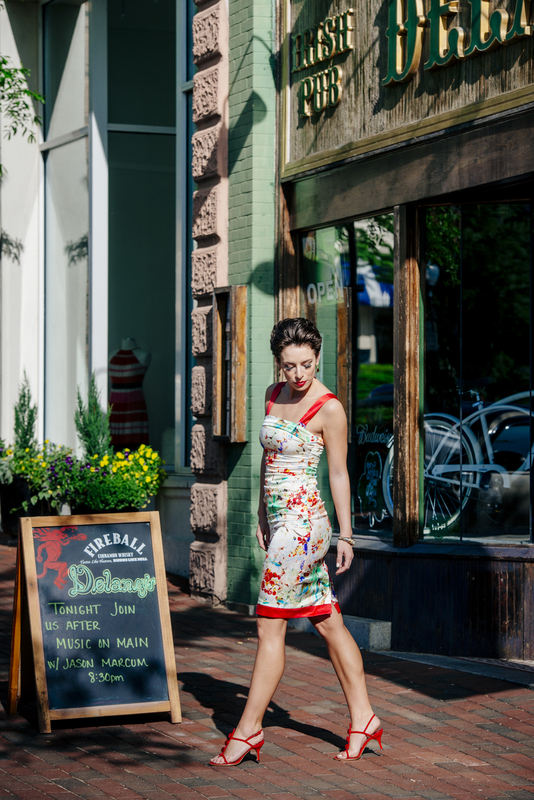 It is no wonder why Couture Closets is seen as such a gem in Sparkle City… You can’t help but smile when leaving their store with a designer label of your very own at a fraction of the cost! The red accents in the dress are matched perfectly with vintage Manolo Blahniks (only $125)! Seriously adorable & a steal!!! 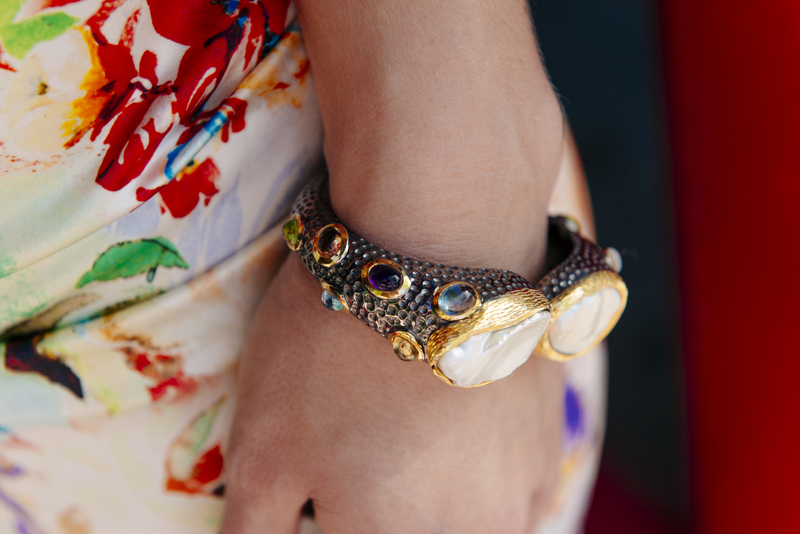 This look is completed by gorgeous Colibri Collections jewels, including their “Mother of Pearl” bracelet… Absolutely stunning! p.s. that lipstick really suits you! awesome posts! love the blog, followed!